You've spent the entire last year pacing in your cubicle like a trapped bear, dreaming about the day when you could escape the boredom of work and get out there to live it up on vacation. If only you could fly like a bird or swim with dolphins or just do something that makes you laugh like a kid on Christmas morning. Well, you can because this is San Diego where your options for fun things to do are virtually endless. Don't be shy, live the San Diego lifestyle if only for a week. We don't watch surf movies, we surf. When we want adventure we don't turn on Discovery Channel, we go outside and do stuff like kayaking the La Jolla caves or paddle boarding the bay. And don't think for a second that you can't do this stuff because you can! So follow me to the Best Things to Do in San Diego and let's go have some fun! If lately life has been a little dull, then maybe it's time to jump off a cliff. No, not suicide but rather a tandem flight on a hang glider. The pilot will do all the work and all you have to do is scream "We're both gonna die!!!" as you lift off the ground and there's nothing but the blue Pacific Ocean beneath you. No age limitations, great pilots with years of experience, it's going to be the most amazing thing you've ever done. Ahhh, to catch a wave and to sit on the top of a world where there's two girls for every boy, that's the dream you've heard about since you were a kid. There's no need to sit back and watch, not when you can take a 90 minute surf lesson where the instructors, people used to teaching first timers and tourists, will show you the basics on the sand and then get you out in the waves where you'll most likely stand up and ride that baby in. Cowabunga, dude! 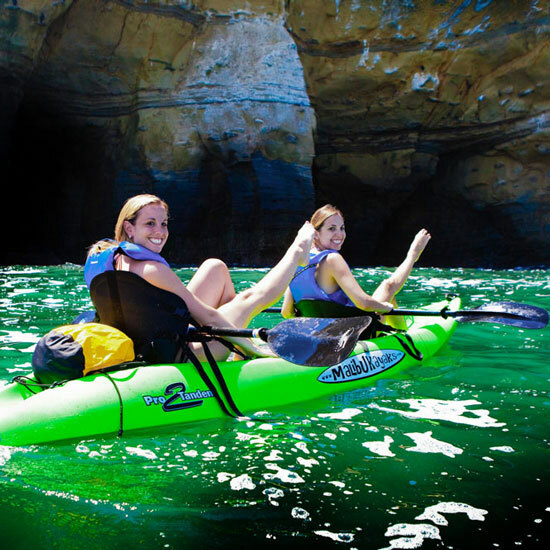 One of the most amazing things you can do on your San Diego vacation is to kayak the calm waters of La Jolla and explore the 7 caves, accessible only from the water. You can do it alone but most first timers benefit from going on a tour with a qualified instructor who will keep you focused and safe. Sea lions, leopard sharks, even an occasional dolphin awaits your adventure. Great for ages five and up, no experience necessary. Most tourists make the mistake of coming in June. What they don't know is that June is famous for our vacation ruining overcast skies we call June Gloom. Late May is nearly as bad (May Gray) and frankly I've spent many Fourth of July's wearing a sweatshirt. Mid-July into Fall is prime time San Diego for the best weather and best water temperatures. You've seen it on TV, you have to at least try to get on at Torrey Pines Golf Course and play Phil's home course. Of course, getting on at Torrey is nearly as hard as hitting a 300 yard ball straight so I golf at Balboa Golf Course, its sister course that's way more affordable and easier to book. 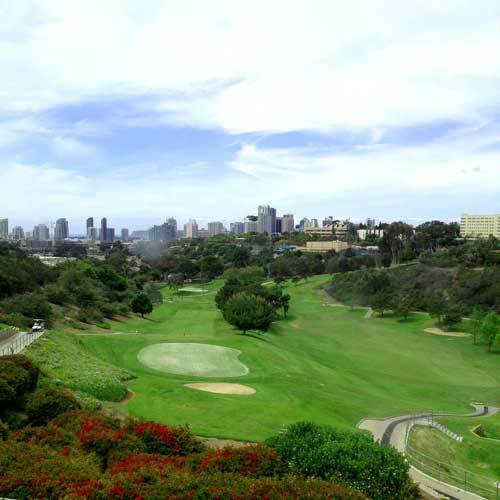 Other top centrally located courses are Coronado (nice and flat with bay views), and Riverwalk (Mission Valley). 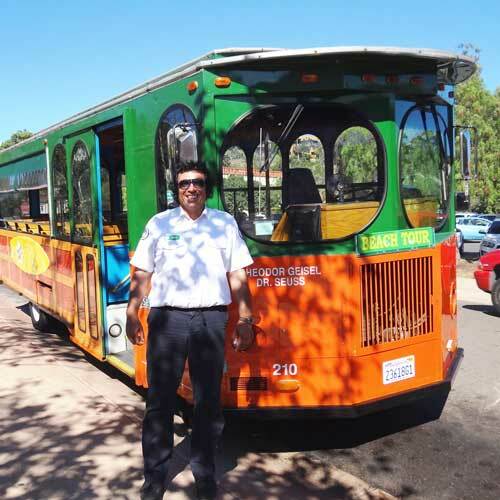 All around downtown, Balboa Park and surrounding neighborhoods are DecoBike rentals, a joint project with the city. You rent by the hour or longer, ride it to where you are going, then leave it at that station. It's a great way to get around and really see the city with no parking hassles and no fuss. Best yet, it's cheap - $7 for an hour, $15 for a day, $35 for a week. Bikes are well maintained and easy to ride - do it! Just so you don't get confused, there are two bays in San Diego. The big one has harbor cruises and aircraft carriers in it. Mission Bay has tiny sailboats and jet skis. I don't know about you but I like Mission Bay when I want to get on the water, especially when you can rent everything from stand up paddle boards to sailboats to powerboats and rafts right at Seaforth Boat Rentals on Mission Bay. 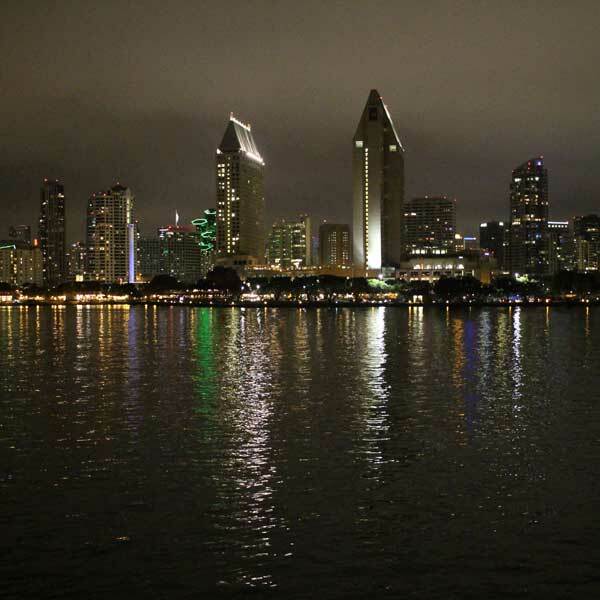 There's nothing like seeing San Diego from the water and two companies, Hornblower and Flagship, offer everything from 1 hour excursions to booze cruise happy hours to full dinner events. Now granted, food on a harbor cruise is never going to rival our best restaurants but it's hard to resist an evening on the bay, sipping champagne like a movie star and enjoying a sunset. You can also do brunch, highly recommended. The Festival of Sail on Labor Day weekend is worth planning your trip around, especially if you can get a ticket aboard one of the tall ships where you get a real Pirates of the Caribbean experience as competing historic ships fight it out. If Labor Day is not on your schedule don't worry, the Californian, a 130 foot gold rush era replica, goes out on 3 hour tours on the weekends, a fun adventure with a bit of San Diego history thrown in. Sit back and hang on! If you want a bit more adrenaline pumping adventure, take a ride on one of many fast sailing boats like America Cup winner Stars and Stripes. Yes, it's more exciting than a Harbor Cruise but it's also tourist and family friendly so don't worry about getting tossed overboard or getting seasick - just hang on! San Diego Sailing Tours is another option and offers a more serene sailing adventure, including one that sails at sunset with local beers and snacks. Flagship Crusises is a San Diego company. Lots of cool events like their Friday night Hops on the Harbor cruise. Terrific food kept the guests happy. The USS Midway as seen from the Flagship Harbor Cruise. San Diego skyline you can only see from the water. Play that funky music, white boy - dance like it's the prom again on Flagship Harbor Cruise. What a way to end the night! On a warm San Diego evening being out on a harbor cruise ship just seems right. Flagship Cruise has been getting people on the water since 1885 when they started the ferry service. Today you can jump onboard a number of events, from beer focused cruises with a live band on Friday nights to the fun Spirits at Sunset (aka "booze cruise") to more elegant events like their 3 course dinner cruise or champagne brunch cruise. The young and lively crowd (and those who want to believe they are still young and lively) will love the Pier Pressure Party Cruise with DJ's and hip hop music. A fun time no matter which you choose, pick the Flagship Cruise that fits your personality and let's get this party started! To call San Diego "Beer Town, USA" isn't marketing fluff, it's the truth with over 100 microbreweries all over town. Some are big names with restaurants like Stone Brewing or Karl Strauss, some are tiny and tucked away in industrial business parks where you can taste the beer and meet the guy who made it. Whatever your choice, if you love beer you need to spend a day exploring our vibrant brewery scene. Check out my beer site for a complete of all the breweries to find one near you. San Diego has tons of good beaches, all with their own personality. Every local has their favorite but the most popular beaches are Mission Beach (roller coaster, young party vibe), La Jolla Shores (long stretch of beach that looks like the set of Baywatch), Coronado (great family beach with small waves and gently sloping sand), the "children's pool" cove in La Jolla where the live seals are, and the less crowded beaches in North County from Del Mar to Encinitas. Surf's up, San Diego. The Southern California Brew Pass gets you discounts and special offers at some of San Diego's most popular breweries - with more being added all the time. A buck off a beer, two for ones, endless happy hours, you'll be using your beer pass all year round! Locals, you need this pass if you love beer! Click for $5 off for Local Wally fans. SeaWorld may be more famous but Birch Aquarium is a great alternative if 1) you don't want to spend a lot of cash to see fish, 2) you don't want to spend a day in a busy theme park, and 3) you don't care about getting your picture taken with a guy in a whale costume. Scripps isn't about fluff, it's about ocean conservation but don't worry, the exhibits are fun and interesting. From sharks to seahorses, you'll see things that you've probably never seen before. Missing your pooch? 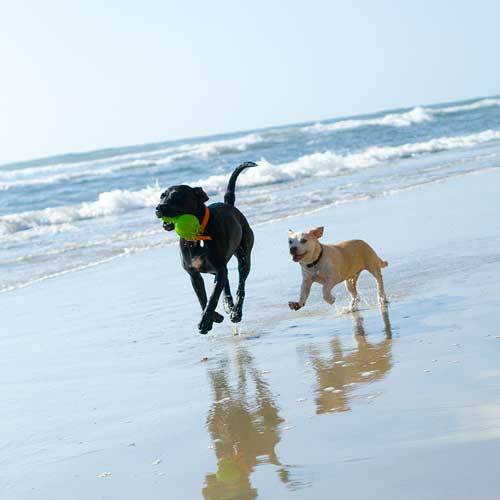 Then head over to Ocean Beach where dogs can run free, chasing balls into the ocean and generally enjoying their San Diego lifestyle. Even non dog owners will love seeing how much fun the dogs have in the surf and look, is that dog surfing?? You can also find dog friendly beaches in Coronado and Del Mar (non summer months only) as well as Fiesta Island, a huge desert-like "island" on Mission Bay. Your spouse is going to hate me for this one but if you play guitar then you need to know that you can go on a FREE tour of the Taylor guitar factory weekdays at 100. You'll see piles of raw, exotic woods moving through the factory until they turn into gorgeous and wonderful finished guitars. Guitar players will be in heaven and non-players will find the hour and 15 minute tour interesting enough for a short vacation detour. The San Diego Padre's might not always win but that doesn't keep locals from going to the games in downtown Petco Park, a super cool ballpark that incorporated some of the old historic buildings into the design. Every seat has a great view and if the Padre's aren't winning (highly likely) you can look at the striking view of downtown. Remember when you were a kid and Dad would take you fishing and do all the hard work like baiting the hook (ugh), taking the fish off the hook (ugh ugh) and then cleaning the fish (triple ugh)? That's pretty much the experience on a half or 3/4 fishing trip where you'll most likely come back with the yellowtail fillets to toss on the grill (yum). There's nothing that says San Diego more than an outdoor concert at a small venue that's right on the bay, which describes Humphrey's on Shelter Island. This is San Diego's BEST outdoor concert venue and with only 1,400 seats even the bad seats are pretty good. Book a dinner package and you're guaranteed the first 7 rows and a delicious meal. You can forget about trying to look cool when you're riding a fake trolley car on rubber wheels on a city street. Go ahead, wave at the people you pass on the street and enjoy the entertaining ride around San Diego. You can hop on and off as well, making this a great way to get around if you don't have a car. It's fun, it's goofy, but who cares when you're on vacation? You're going to feel like a kid again as you run aboard one of the 11 ships docked on the bay representing the Maritime Museum. This isn't a tourist trap, these are real historic ships with a lot of history and exhibits. The Star of India is the star, the worlds oldest active sailing ship, and if the HMS Surprise looks familiar it's because it was used in the movie Master and Commander. If you thought the Old Town Trolley was embarrassing wait until you climb aboard the Seal Tour, an amphibious bus that tours the streets and then goes out into the bay. Oh my! The Go Cars are a bit more cool, tiny GPS enabled cars that guide you through the city. Both are more fun than you can imagine and if the locals are smirking know that they wish they could join you.